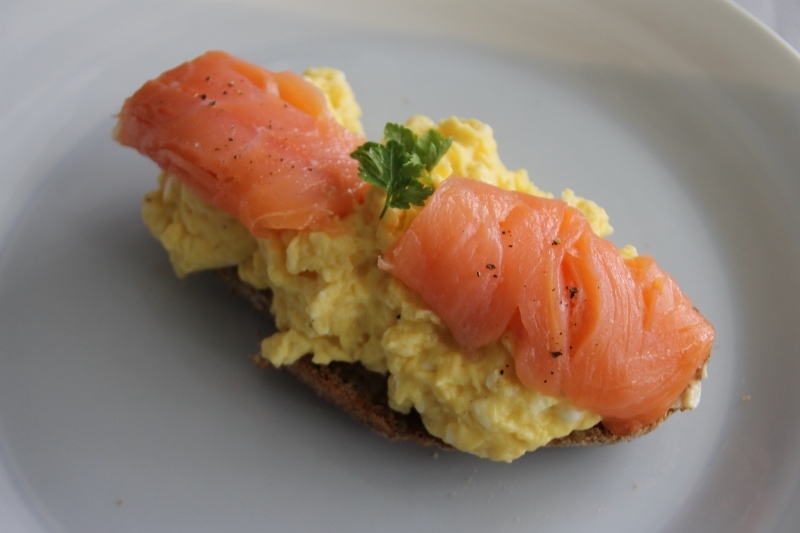 Breakfast is the most important meal of the day, so we have tried to make it special. 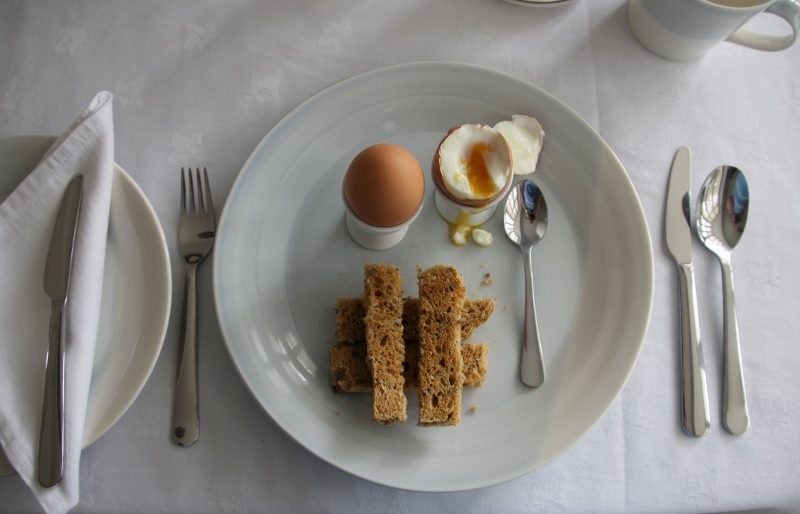 We pride ourselves in the quality of breakfast offering locally sourced produce. Colyton Butchers, our local family-run butchers, supply us with their wonderful bacon and prize winning Dorset sausages. Our free range eggs come from Deane Barton, our milk from local farms and our coffee from the Coffee Factory, a local artisan roaster. Julia bakes bread daily and makes the granola as well as marmalade and jams throughout the seasons. 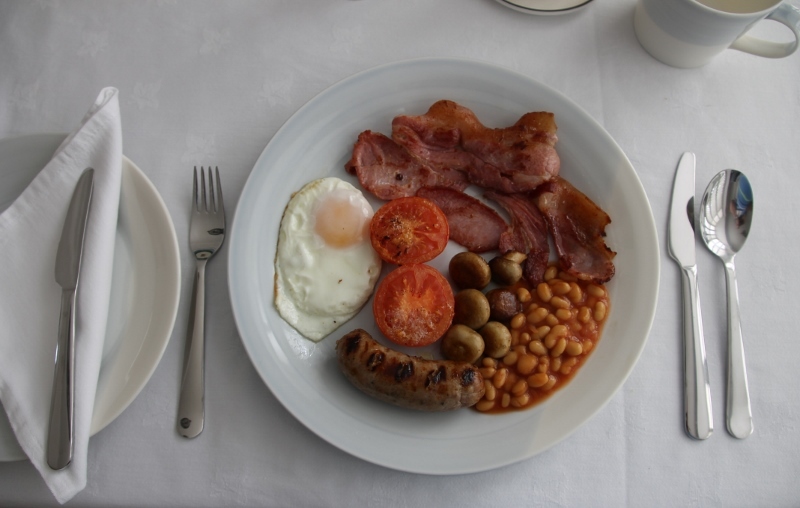 A Full English breakfast is offered to set you up for the day or if you fancy something lighter – smoked salmon & scrambled eggs, an omelette or a bacon/sausage sandwich might be just the answer. 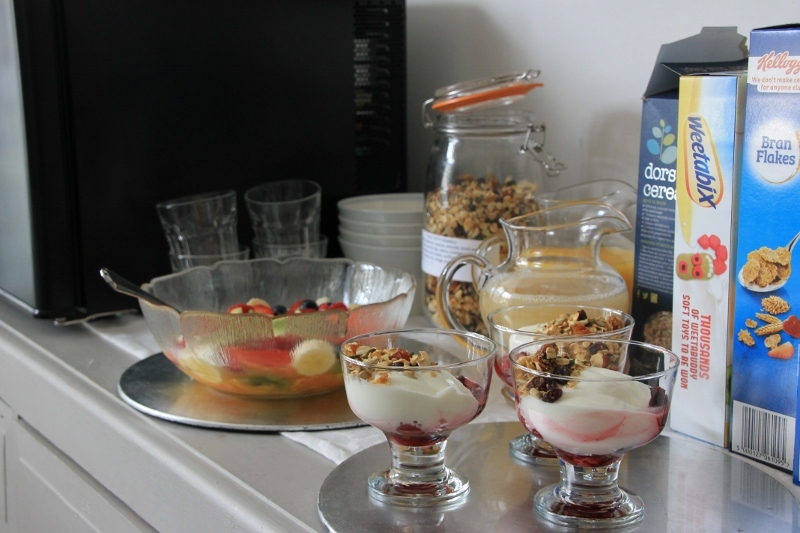 Guests can also choose from a selection of fruit juices, cereals, yogurts and fresh fruit. Assorted teas and an ample supply of freshly brewed coffee are available throughout breakfast. Special dietary needs: we also cater for those with special dietary needs – please give us advanced notice of your requirements when making your booking. Timing: breakfast is served from 8am to 9:15am (Sundays 8:30am to 09:30am). For those who need to be up and out earlier, we are always happy to organise an alternative time to suit.